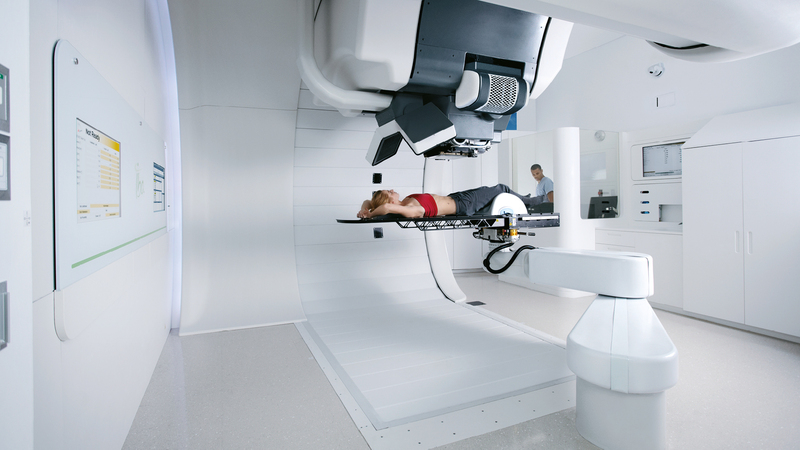 Unlike conventional multi-room Proton Therapy (PT) systems, IBA’s single-room solution, Proteus®ONE, is a compact proton therapy technology that is easy to install, integrate, operate, and finance. It also scalable so you can grow over time. 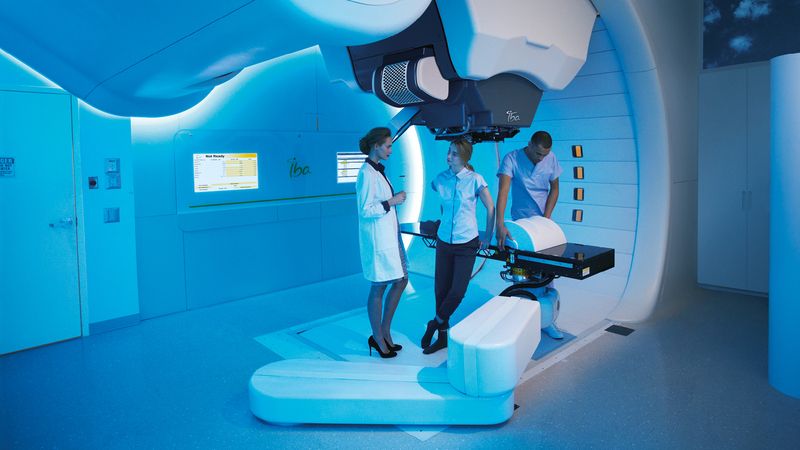 ProteusONE emphasizes personalized comfort and accessibility while delivering the most clinically advanced form of proton radiation therapy. In fact, it’s the only compact solution that offers Pencil Beam Scanning, which minimizes radiation exposure to healthy tissue. Think big and scale smart. Get the global solution that fits your center, adapts to your future, and helps patients thrive – one room at a time. 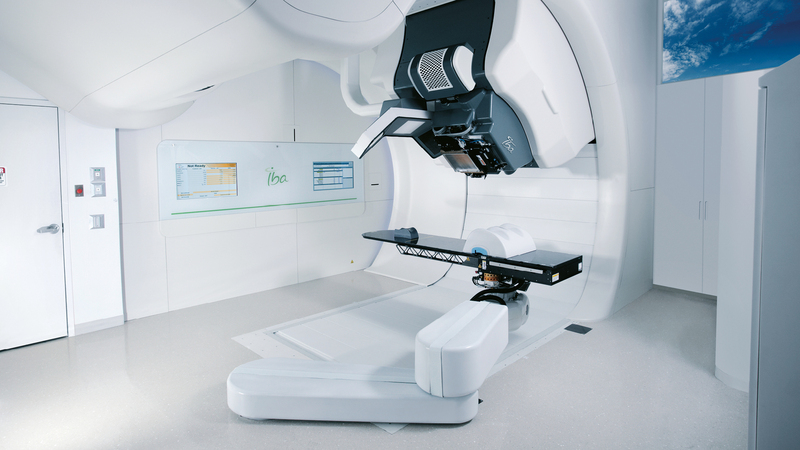 Proteus®ONE offers the most advanced techniques of patient positioning, allowing clinicians to operate the proton beam with sub-millimetric precision. Proteus®ONE's compact gantry offers 360° of treatment access within the most compact design ever developed. 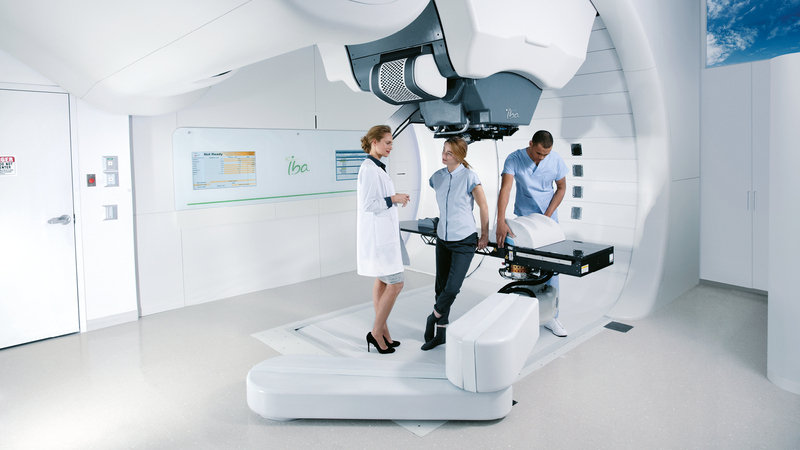 With its 220° rotating structure combined with the 6 degrees of freedom of movement of the Robotic Patient Positioner, it easily allows advanced imaging techniques such as Cone Beam Computed Tomography (CBCT) and advanced beam modes such as Intensity Modulated Proton Therapy (IMPT). 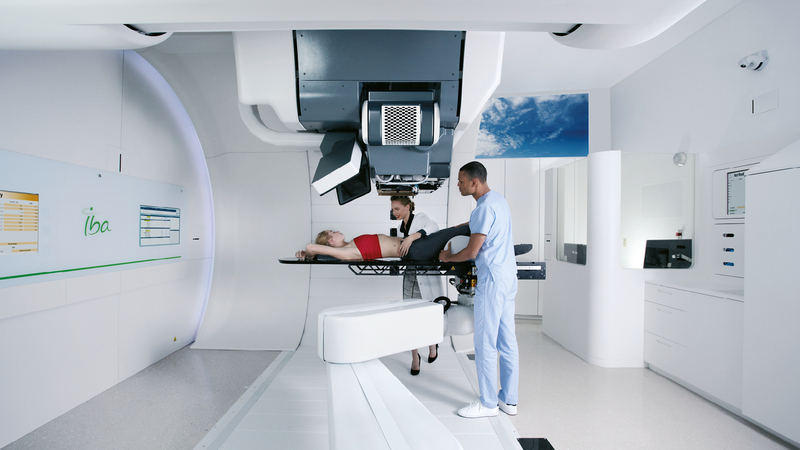 Not all proton therapy solutions are designed to fit your needs and suit your resources – whether it’s a question of budget or space. 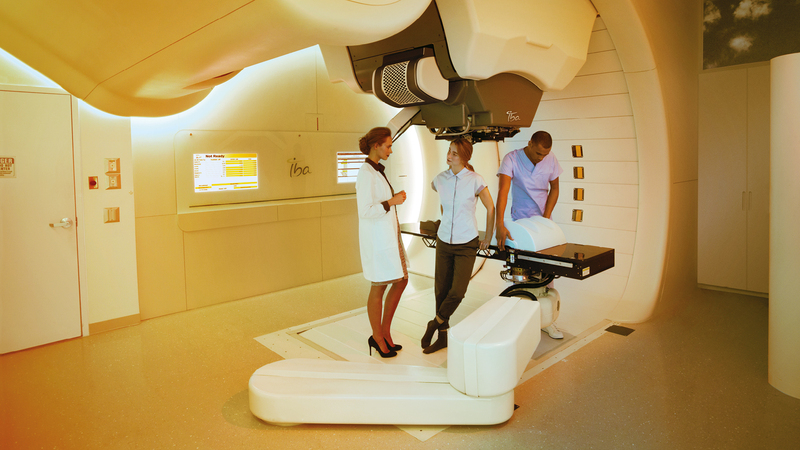 However, with our proton therapy modules you can find the right fit for your clinic, letting you offer cutting-edge cancer treatment to the patients who can benefit most. 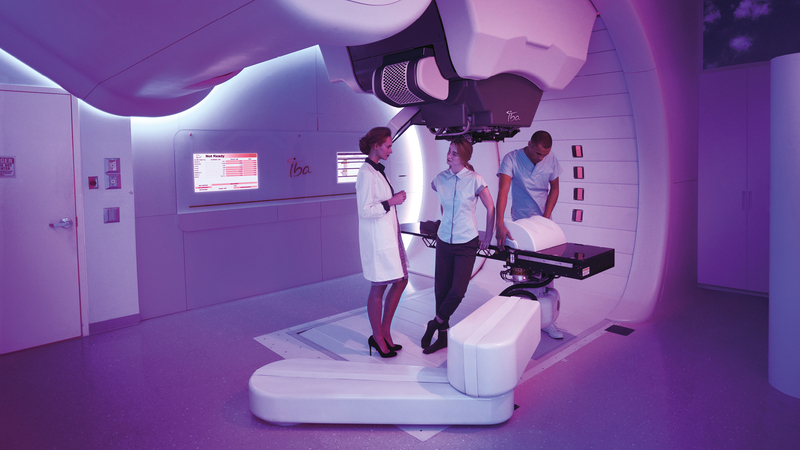 Unlike conventional multi-room Proton Therapy (PT) systems, IBA’s single-room solution Proteus®ONE, is a compact system designed for the community-based clinic. It is a system that is easy to install, integrate, operate and finance. Thanks to our original design, Proteus®ONE's compact gantry offers uncompromised treatment options within the most compact design ever developed. The gantry rolling floor ensures easy patient accessibility as well as impeccable staff safety during clinical operations, enabling staff to concentrate not just on their core clinical tasks but also patient wellbeing. 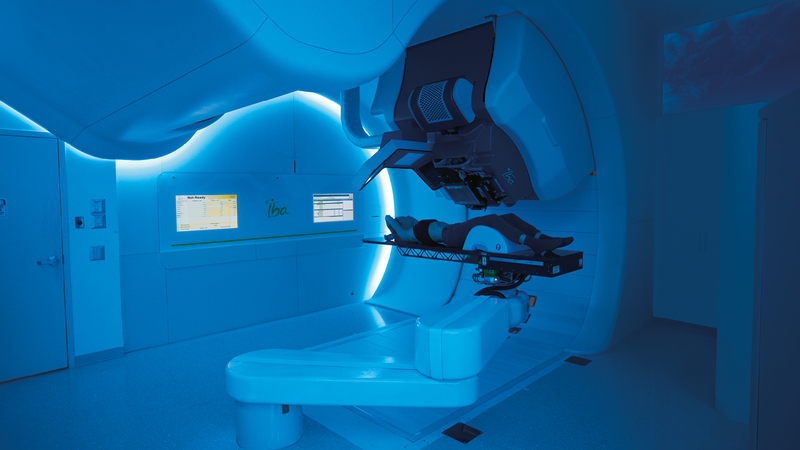 Proteus®ONE's unique configuration which includes the latest PBS technology and imaging techniques (stereoscopic imaging and cone beam CT at the isocenter) leverages the full power of proton therapy : This means that all treatment options remain uncompromised. Our clinical partners are able to treat a diverse range of patients suffered from ocular tumors, CNS tumors, head and neck malignancies, thoracic malignancies, abdominal and pelvic malignancies. S2C2 is a highly compact proton therapy accelerator which delivers protons at 230 MeV energy with an average current of 135 nAmps while weighing less than 50 tons and measuring less than 2.5 meters in diameter. IBA's compact proton therapy accelerator consumes less than similar technologies on the market. Our strict consumption requirement helps us minimize the impact on the environment as well as to minimize treatment costs. 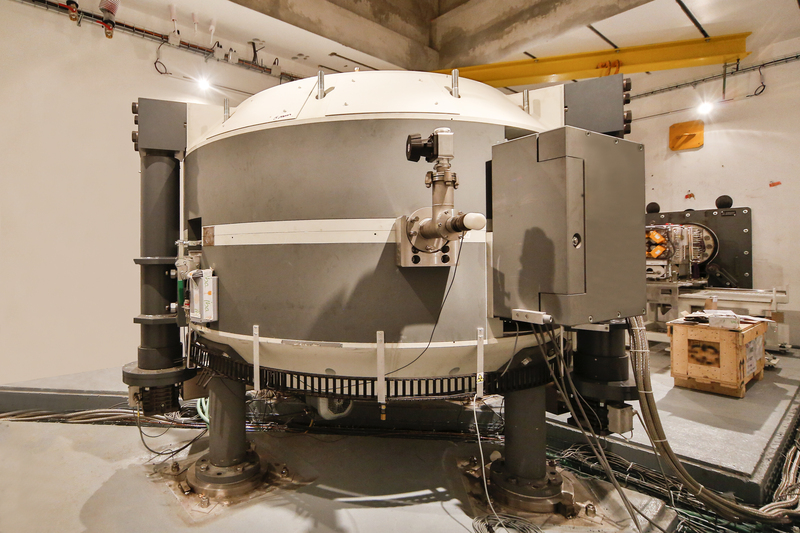 IBA has researched the best position for the proton therapy accelerator, with the purposes of minimizing patient exposure to the neutrons that are generated by energy selection. 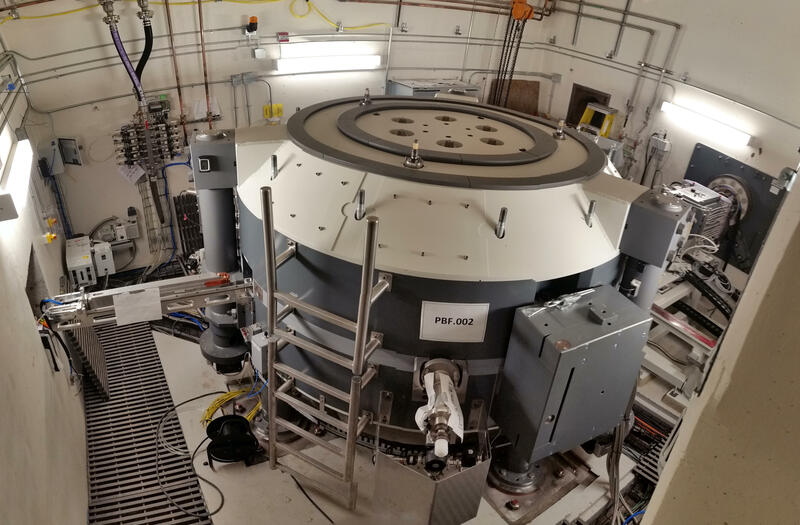 By positioning the accelerator behind a shielding wall, IBA has achieved neutron doses at a level comparable to a perfect PBS system while keeping a small building footprint. 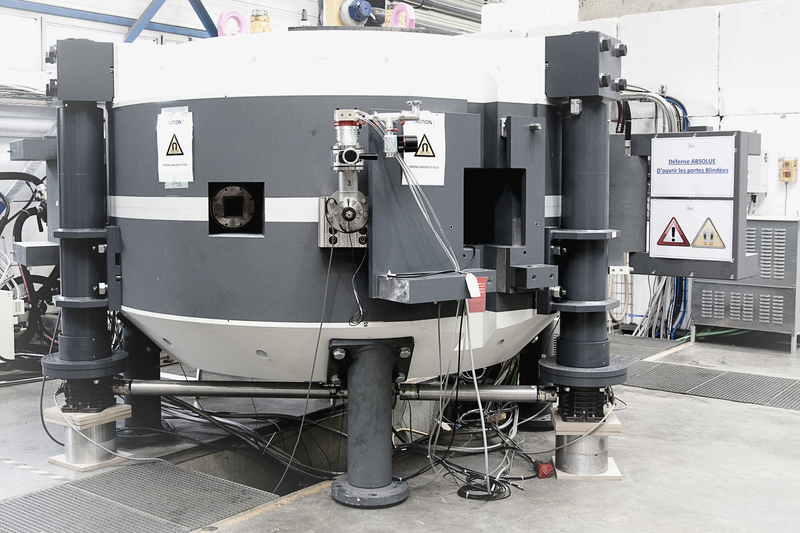 IBA offers the first compact gantry on the market of proton therapy technology that extends the treatment angle to 360°. In doing so, your clinicians benefit from complete treatment freedom and uncompromised treatment options. The open treatment enclosure allows physicians and nurses to have easy access to the patient in treatment position. This facilitates patient care and comfort, and improves positioning procedures especially during non-coplanar treatments. The IBA Open Compact Gantry provides the perfect equilibrium bringing together strength, reliability and speed in a compact and patient-friendly treatment solution. 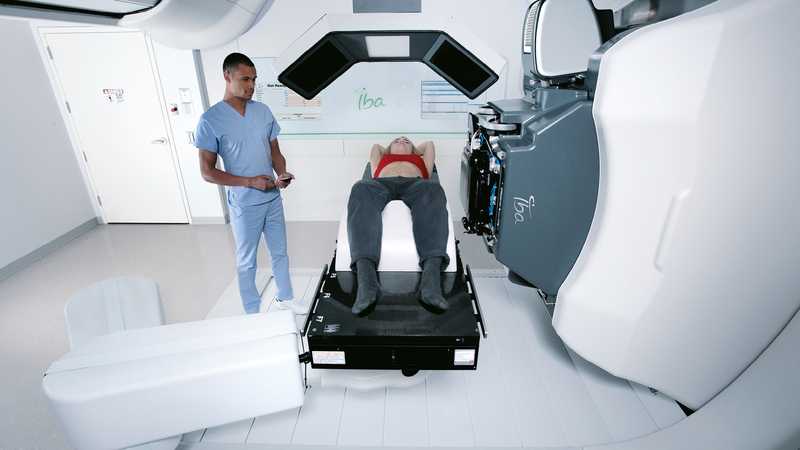 IBA’s ProteusONE incorporates the latest imaging technologies so that clinicians can deliver Image-Guided Proton Therapy (IGPT) to cancer patients. IGPT relies on high-resolution and high-sensitivity X-Ray digital imaging systems that provide low-dose stereoscopic images in various geometrical arrangements. The advanced imaging technologies integrated in ProteusONE are based on Oblique stereoscopic X-Ray imaging. This allows quick and accurate patient position verification and monitoring, by comparing the new images with diagnostic CT imaged during the treatment planning process. This unique IBA geometry is associated with adaptInsight, IBA's imaging platform which creates an efficient configuration, allowing the operator to image in the treatment position at unrivalled speed. Additionally, IBA offers cone-beam computed tomography at the isocenter for patient position verification and anatomical modification assessment. This unique combination in the field of proton therapy makes the ProteusONE ready for adaptive therapy. Working with clinicians in the development of proton therapy worldwide over the last 20 years has led the IBA team to understand that successful treatment does not only depend on proton beam physics. Proteus®ONE has been designed to enhance the patient experience by fostering a soothing environment. At the same time, all care has been taken to facilitate medical staff daily practice. Based on insights from patient groups, healthcare staff and experts, Philips and IBA developed a solution that improves the overall patient and staff experience; turning a cold, impersonal environment into one that comforts and reassures. The Ambient Experience was designed for Proteus®ONE, integrating technology, spatial design and workflow improvements to create comfortable, stress-reducing environments. The adaPT platform encompasses adaPTdeliver, adapPTprescribe and adaPTinsight within one single software platform, allowing the patient data to flow seamlessly from one phase of treatment to the other. The software platform guides you through the workflow so that you can concentrate on patient care without worrying about the proton therapy technology. 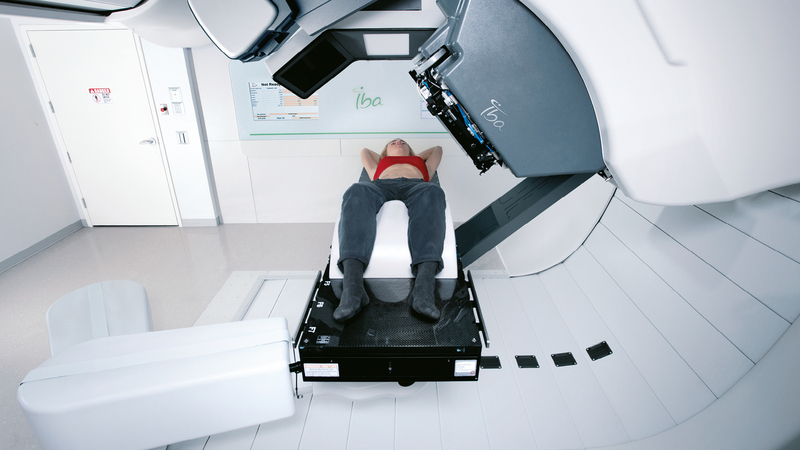 IBA's proton therapy technology is compatible and fully integrated with all the major TPS and OIS vendors. Integrating PT into your existing IT infrastructure has never been easier. Thanks to IBA's open vendor approach, you can keep your existing infrastructure and simply upgrade your existing configuration with PT modules. The ProteusONE has been designed to minimize engineer intervention, with fast and easy start-up and shut-down phases. 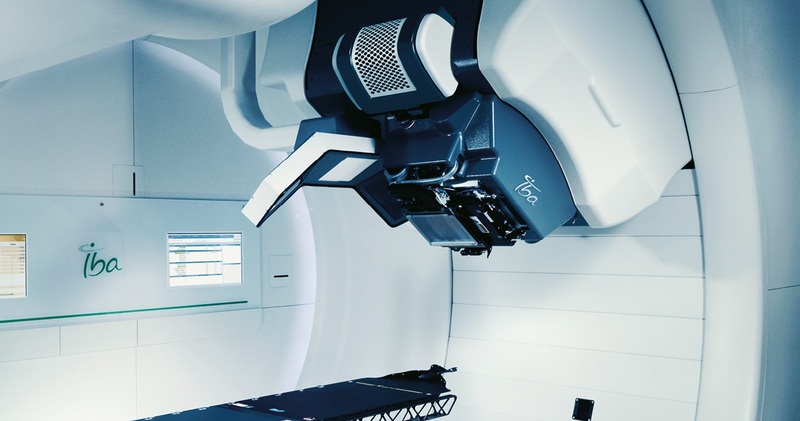 The latest remote maintenance technologies and predictive maintenance strategies maximize your access to your system while giving you access to the largest team of proton therapy experts in the world.